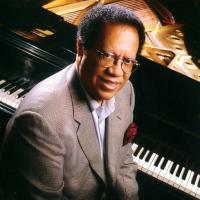 Join us as we commemorate the life and art of pianist Cedar Walton. We will pre-empt all regular programming from 12 noon on Monday August 19th until 3pm on Tuesday, August 20th to celebrate Walton's long and fruitful career as a jazz musician. Cedar Anthony Walton Junior was born January 17, 1934 and raised in Dallas Texas. Walton has been a major presence in the jazz world for many decades. He spent his formative years in the 1960s working as a pianist-arranger with Art Blakey's Jazz Messengers, as Milt Jackson's accompanist, and a member of the house rhythm section at Prestige Records. After spending time in the 1970s leading the funk group Mobious, Walton was active from 1980 onward recording with various piano trios, often featuring many of his own compositions like Cedar's Blues that would become jazz standards. Be sure to tune in as we celebrate an important figure from the jazz world.